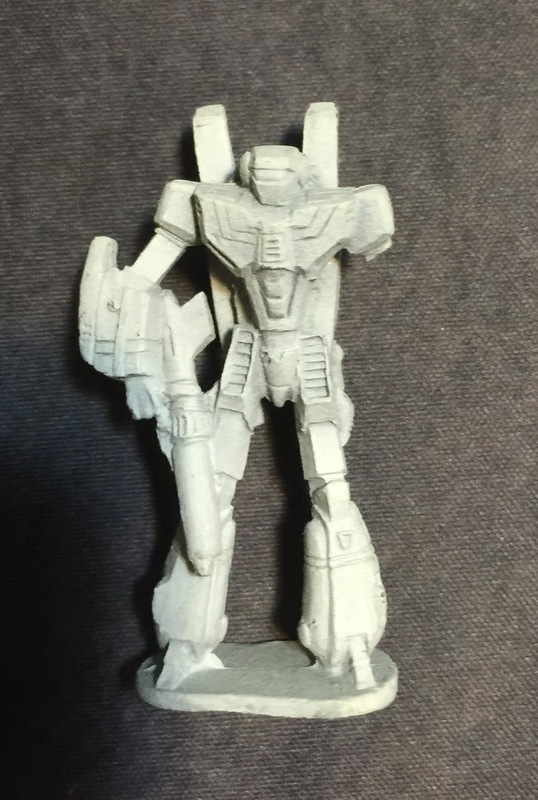 This weekend, we found some a posting on Craigslist -- with lots of old Battletech Mechs! We called as quickly as we could -- and were able to arrange buying them. It was a bit of a drive for us - but worked out to be more or less on the way we needed to drive - so it all worked out well. This was really exciting for us, because the lot of Mechs we bought included quite a few we couldn't easily get these days. 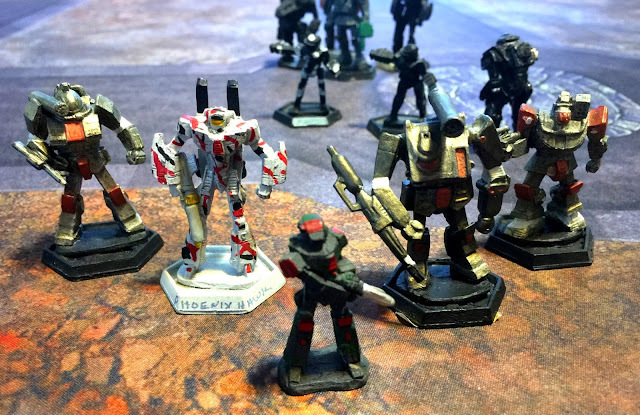 When we talked on the phone - the Seller mentioned that he loved playing Battletech (just like us! 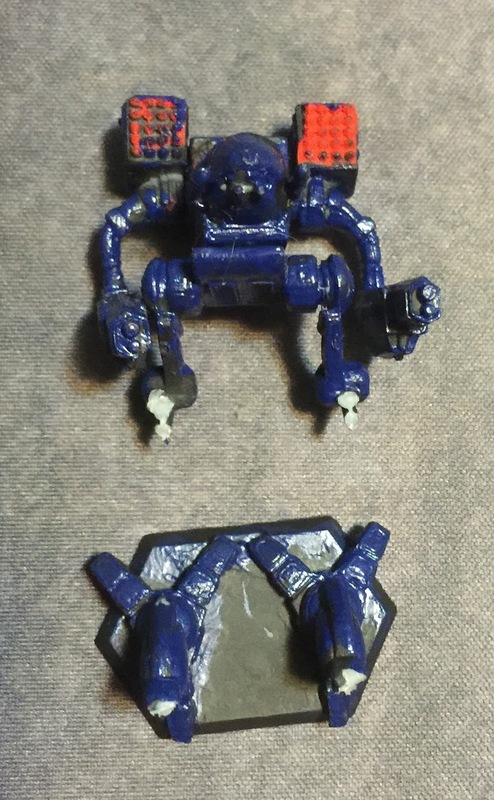 ), but hadn't had a chance to use his Mechs in quite a while. The Seller had done a nice job of taking care of his Mechs. One trick we learned from him is that egg cartons make a very nice and convenient holder for miniatures. They have done a nice job of protecting these! Unpacking the Mechs. 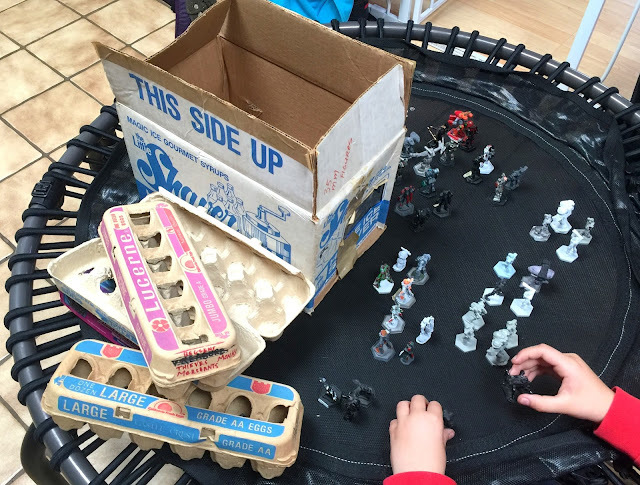 Very slick use of egg cartons to store the Mechs! We know that quite a few of these are "Unseen" Mechs. But, since we have been playing quite a bit of "early years" Battletech in our campaign, it's fun to have these models since they go well with the really early rule books we've scrounged up. Also interesting to look at the Seller's Marauder. We're not sure - but maybe that's the top of a Rifleman on his Marauder ?? Different plastic molds. Models from the beginner's set on the right; models from this batch on the left. Some differences in scale and "bulkiness"
- And, not 100% related - but we discovered that our not-so-great packaging has caused our Mad Cat to have both legs broken off. Repair certainly in order! !